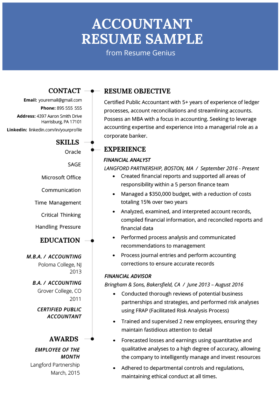 Need help writing a professional operations manager resume? 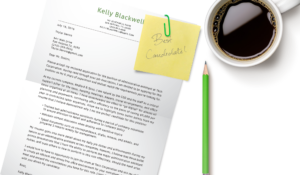 Below you’ll find your free downloadable sample, matching cover letter, and 4 expert writing tips. A financially savvy, customer experience-oriented Operations Manager with a passion for health and fitness. Over 6 years of experience in the fitness industry, with a focus in corporate policy and process efficiency. Committed to promoting the highest standards and company values. Does it sell its product or services to other businesses (B2B) or directly to its own customers (B2C)? How does it address that problem? A great operations manager knows the business concept inside-out, and then works through the nitty-gritty details to keep it running as smoothly and efficiently as possible. If you’re switching industries, you’ll want to focus on displaying your core skills rather than your knowledge-based value-add. Make sure you research your new company and industry extensively. In terms of a skillset, an operations manager is more of a generalist than a specialist; you’re a specialist in your industry or niche, but have a generalist’s skill and savvy when it comes to managing different parts of the business and the team. For example, the operations manager at a golf course will have a different knowledge base and skillset than the operations manager at a software company. Since operations managers generally do have a leadership role in a company, you’ll definitely want to highlight your abilities and skills development as a leader. But, other parts of an operations manager’s duties are far more about management – that is, about control, consistency, cost, etc – so emphasize that you know the difference between leadership and management and which is called for when. In these short 3 sentences, this individual has told the reader their level of experience (6 years), their particular value-add (process efficiency, financials, customer experience), and included a point about their character and standards. When listing your professional experience, you’ll want to list your relevant experience in reverse chronological order, using action verbs to highlight the particular skills you have developed and results you’ve achieved. Here are some of the most desirable skills for operations managers and how you might display them in your professional experience section of your resume. Technical skills – this will depend heavily on which industry or niche you work in, but an operations manager should have at least cursory knowledge of technical skills and processes involved in the business, and in most cases a much more in-depth knowledge is required. This could range from computer software to heavy machinery, depending on your industry. 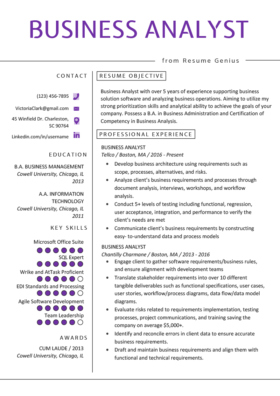 In this example resume, the applicant has been working at different levels in fitness clubs in each step of their employment history, which indicates that he knows quite a bit about the industry. Financial know-how – Bringing money into many businesses is the job of sales and marketing departments, while the finances are controlled by another department. The operations manager has to liaise between the two and have a sharp eye on operating budgets. The ability to spot opportunities to boost efficiency and productivity – This comes from an understanding of business and people processes, which could lead to saving time or money (or both!). In this bullet point, the applicant indicates a cost savings (less staff turnover means less time and money spent on training new staff) which doubles as an endorsement of his leadership and communication skills. Find these action verbs and many more you can use on The Longest Action Word List In The Universe. As mentioned previously, operations managers generally require a great deal of technical knowledge in their field, and therefore may have specific educational requirements that could require years of schooling. An operations manager for a chemical manufacturing company will probably need a background in chemical engineering and possibly an MBA, whereas an operations manager for a fitness club as seen in the resume example above may need only a high school degree, though a university degree or college diploma is usually the minimum. Many operations managers have been to business school, in particular those who will be dealing with supply chain management or working in large corporations with many subsidiary companies. Again, due to the intimate industry knowledge needed, there is no general education requirement for operations managers, but continuous education and skills/knowledge upgrading is always a good idea. The additional skills section is great for highlighting special details or must-haves that don’t fit into the other sections. Language skills are more and more desirable in the job market, and in some industries first aid certification may be a requirement. In the sample resume here, the applicant has two additional certifications that make a strong case for him: he has an industry certification (personal trainer) and has gone through some process methodology training (Six Sigma). Are you an operations manager or looking to become one? Which of these tips was most useful for you?